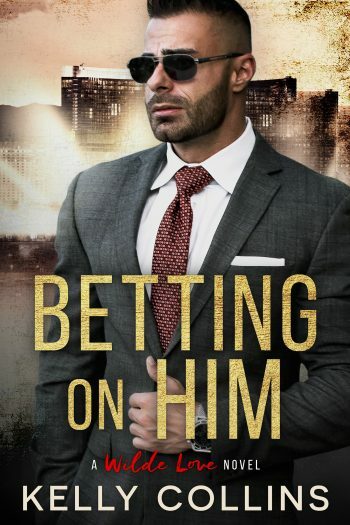 Today is release day for BETTING ON HIM, the first book in the adult contemporary romance/romantic suspense series, Wilde Love, by Kelly Collins. See below for information on the book, buy links, and an exclusive teaser. Alex Wilde desperately wants to be free of the family’s mob business. But when his infamous father is murdered, the family attorney makes a suggestion he can’t ignore: find a bride before the funeral or they’ll force a wedding with a nice Russian gangster girl. When he meets a feisty cocktail waitress, he thinks he’s found his way out. In her spare time, she enjoys walking the trails and visiting the mining towns like Cripple Creek. She likes to think it’s the ambience that brings her there and not the amazing slot machine in the back of the casino. In the winter, you’ll find her tucked into her seat at The World Arena cheering her beloved Colorado College Tigers Hockey Team. After several losing seasons she knows there’s a win coming soon. Kelly is no fair weather fan. 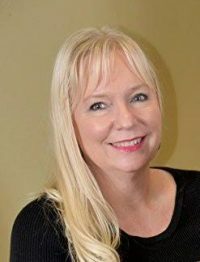 Creative minds need an outlet and writing books is where she focuses her excess energy..